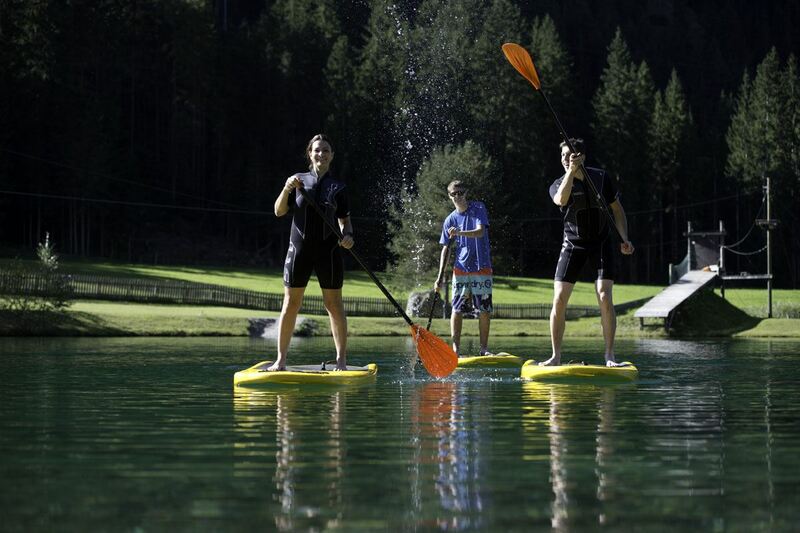 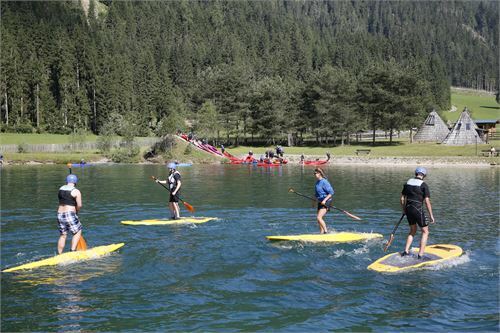 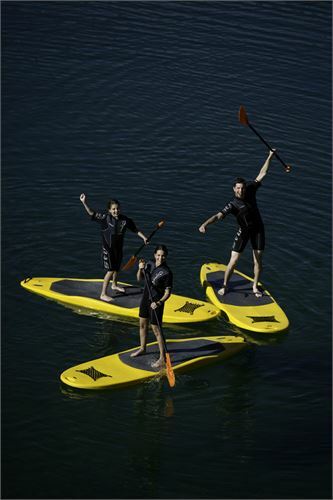 Stand-up-paddling is a trendy sport originally from Hawaii, easy to learn and from begin a lot of fun. 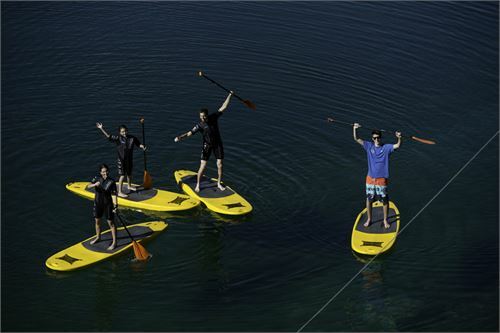 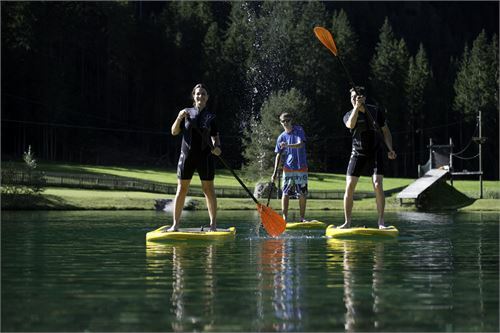 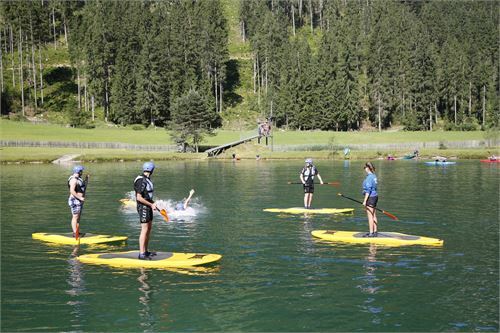 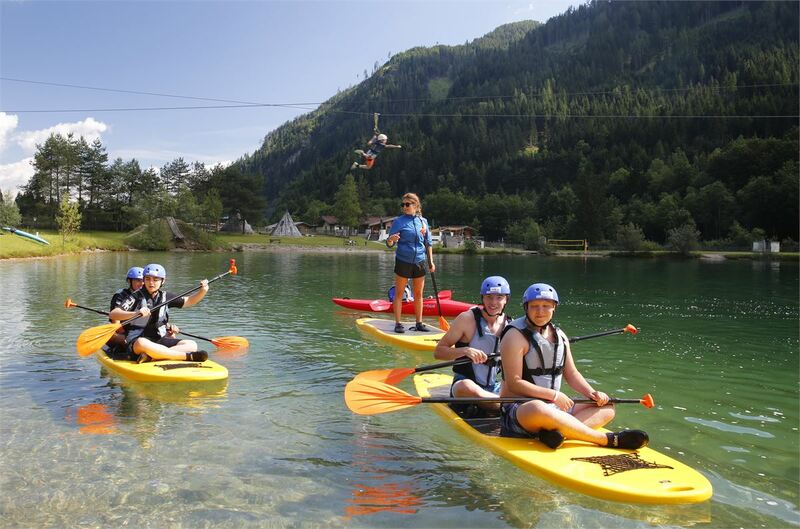 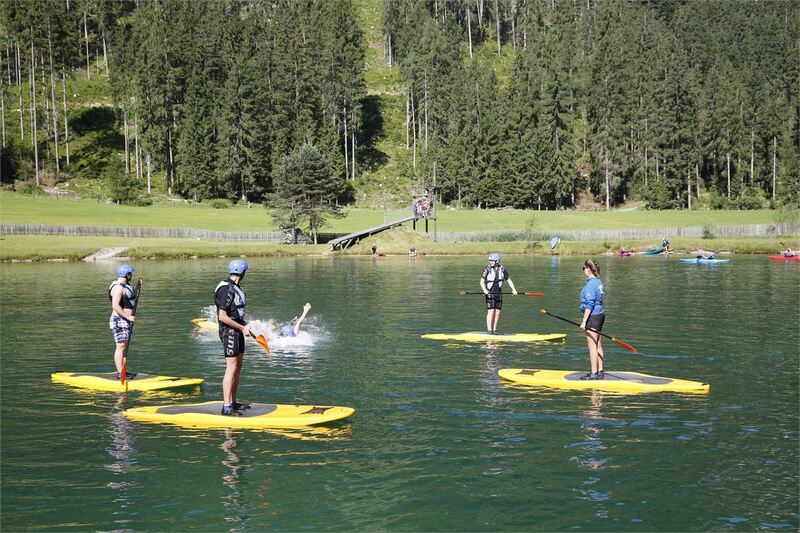 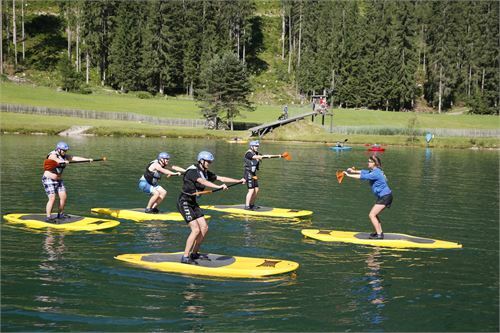 The board of the stand-up-paddle is similar to the surfboard or the big board of a windsurf. The board ensures the upwelling and the paddle does the propulsion. 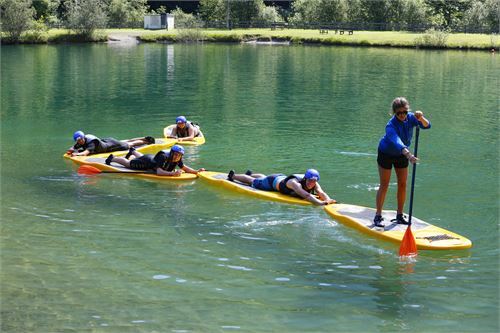 Easy access and fast learning progress make SUP a type of sport, which everyone can learn - no matter how old or how sporty you are! 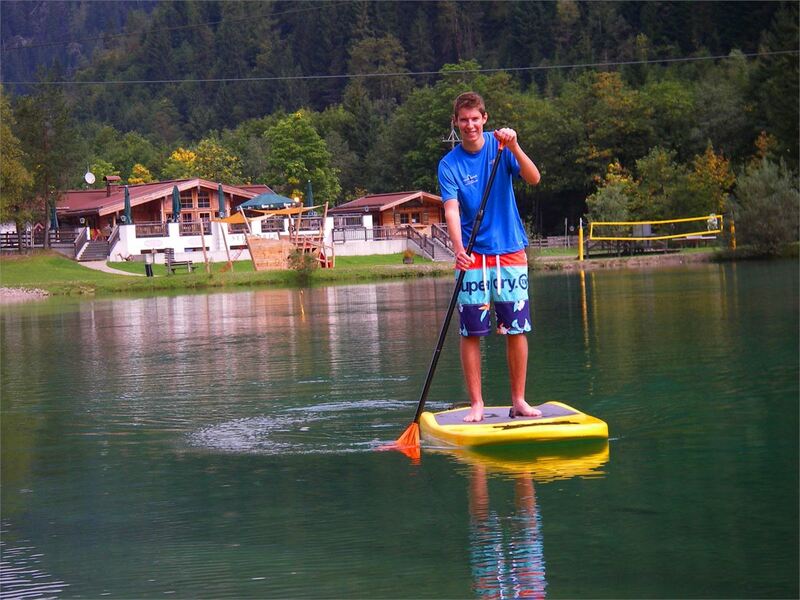 SUP paddle is the summer hit on the wobbly board! Dexterity and sense of balance are required and are practiced in exciting races!